In 1864 – the same year that Congress mandated funds for Arlington Cemetery – Abraham Lincoln commissioned $25,000 for construction of Washington, DC’s first Naval hospital, just blocks from the Capitol. The hospital’s first patient was 24-year-old African American seaman Benjamin Drummond, admitted in June 1866 with a gunshot wound to his leg that he received in battle three years before. After escaping from a Confederate prison in Texas, he had returned to duty, but when complications developed on his old wound, he was admitted to the new and modern Naval Hospital for treatment. Drummond was discharged in 1868 with a government pension. The hospital continued to serve sick and wounded seamen until 1906, when it moved to a newly constructed facility at 23rd and E Streets N.W. (“the New Naval Hospital”), which was replaced in turn by the Bethesda Naval Hospital in 1942. 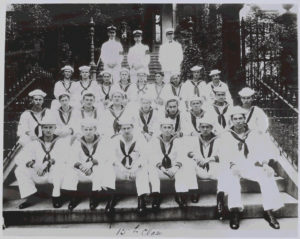 The hospital was used from 1907-1911 for the Hospital Corps Training School, where sailors learned nursing, hygiene and anatomy. From 1911-1922, it was used to care for veterans of the Civil and Spanish-American wars, as an emergency hospital, and for a time, the headquarters of the Naval Reserve. And from 1922 to 1963, it was the Temporary Home for Union Ex-Soldiers, Sailors and Marines, a private institution providing lodging for veterans pressing pension claims in the capital. 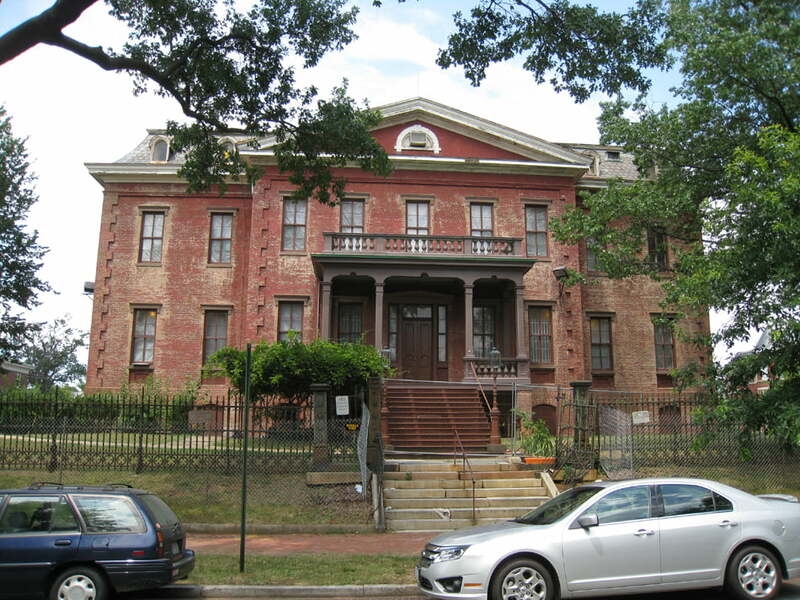 In 1963, the federal government transferred control of the site to the District of Columbia, and the Old Naval Hospital subsequently housed several social service organizations. More recently, it served as the headquarters for the effort that succeeded in establishing the Martin Luther King, Jr. national holiday. But the facility was not properly maintained and the effects of age and moisture steadily took their toll. After 1998 the main building stood essentially vacant, while the carriage house was rented as an administrative office by a citywide organization providing addiction treatment and counseling. In 2000, a small group of neighbors concerned about the historic site’s deterioration and neglect founded the Friends of the Old Naval Hospital. They set three goals: to see the place properly restored, to see it turned over to an appropriate long-term occupant, and to research the history of the site and the people who have used it. They also wanted to make sure the District government heard the voice of the community. To this end, the Friends hired the Urban Land Institute (ULI) to study the Old Naval Hospital and propose a strategy for its redevelopment and reuse. After examining the site and meeting with neighborhood residents and organizations, ULI concluded that the District should select a tenant for the building that serves and represents the community. In 2002, a diverse coalition of Capitol Hill neighbors organized the Old Naval Hospital Foundation. With input from hundreds of Hill residents, the ONHF developed a comprehensive plan for the site’s reuse as an educational center for children and adults and a gathering place for community residents. After a lengthy bidding and review process, the Hill Center plan was accepted by the city in August 2007. In just over eighteen months and at a cost of $10 million, the facility underwent a major, historic renovation, bringing the structure back to its original appearance, adorned in its original colors and surrounded by its monumental wrought-iron fence. This new building also incorporates many 21st century upgrades, such as a fully ADA-accessible design and a green footprint, with its heating and cooling system supported by 32 geothermal wells. Over 150 years after its inception, and after the rehabilitation, the Old Naval Hospital, a landmark of the Capitol Hill neighborhood, is thriving as Hill Center, a vibrant, campus-like center for cultural enrichment, lifelong learning, and civic engagement.